One consequence of Pelikan’s recent price increases in the United States is that many will find it much more difficult to acquire that new Pelikan pen that they have been lusting after. It’s a first world problem to be sure but people are passionate about their Pelikans. Global pricing has yet to see an increase and so it would seem, at least for now, that the new rates are only intended for the United States. What this mean for those of us in the U.S.A. is that Pelikan pens from overseas vendors can be a very attractive proposition. Since about 2011, the prices between domestic and foreign vendors have become increasingly divergent. 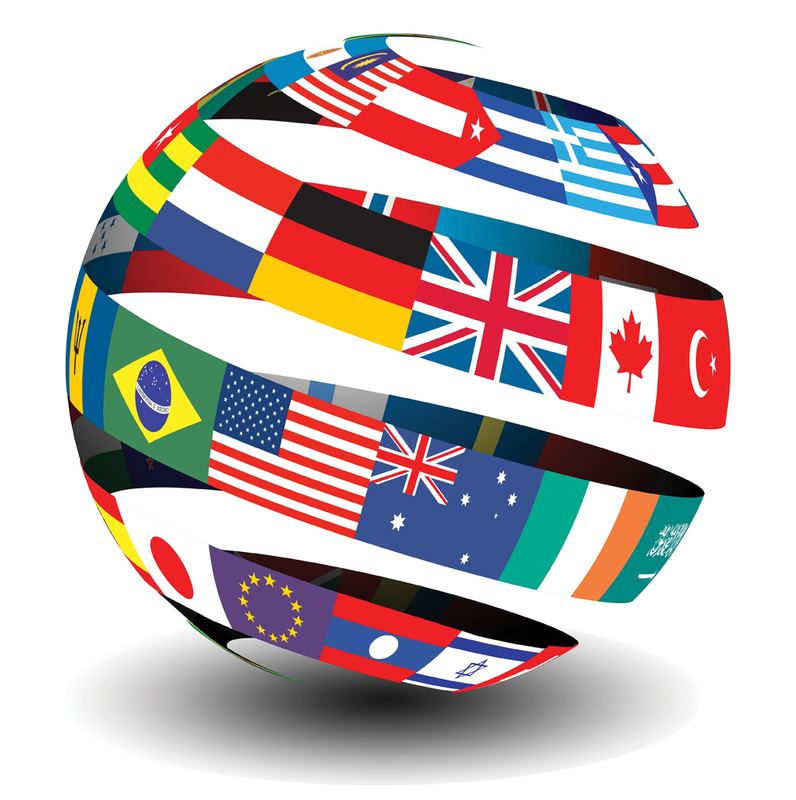 Many people have reservations about purchasing from abroad and that is certainly understandable. With a little education and a bit of research, many of those concerns can be minimized and a significant cost savings realized. I am not trying to dissuade anyone from purchasing locally and I wholeheartedly support our domestic vendors whenever possible. That said, as the prices of new pens and inks climbs ever higher, many of us have to find alternate, more affordable outlets wherever possible or forgo the purchase all together. In this primer, I hope to bring awareness to some of the key points that you need to know and look out for when shopping overseas. There are several considerations that need to be taken into account if you intend to make a purchase from abroad. First, it harms our domestic businesses. The few brick and mortar stores that we have left do not necessarily set the prices on their Pelikan wares but are rather given a price list from the U.S. distributor, Chartpak. They have some leeway to discount about 20% off of the MSRP but often are not at liberty to go any lower. It is unfortunate then that they may become a casualty of fewer sales when there is such a global price imbalance which has the potential to further reduce the number of authorized Pelikan dealers domestically. Secondly and along those same lines, a domestic supplier has the ability to much more conveniently offer after purchase support. Return shipping and exchanges are certainly effected more cheaply and quickly. Paying a bit more upfront can without a doubt be worth it in the long run, particularly if it allows you to establish a relationship with a trusted retailer. Dr. Deans of Pen Economics addressed this in an excellent article entitled “Benefits of a Relationship with a Retailer” which I would encourage you to read. Also, many of us are the impatient type when it comes to receiving a new purchase and ordering a pen and waiting 2-4 weeks for delivery can be tantamount to torture. In that time frame, much harm can befall a package and often times there is a large lag in international shipping updates on tracked packages creating no shortage of angst. Perhaps one of the biggest areas of concern for would-be buyers is the uncertainty of import fees. Depending on the port of origin, method of shipping, and the way that the packaging is labeled, there is the possibility of incurring customs fees that were not part of the original sale which have the potential to negate any type of savings. Thankfully these fees are not frequently encountered and items that are delivered via registered mail are not usually problematic. Registered mail parcels can be tracked but delivery is usually slower (2-4 weeks) when compared with the commercial shippers. If you do take delivery from a commercial shipping outfit (i.e. DHL, UPS, FedEx) your package will arrive much more quickly, 2-3 days on average, but you should expect to pay as much as 5.4% in import/export duties based on the item’s declared value. You could also unexpectedly get hit with a “payment deferment” charge when they bill you after delivery that can add an additional $10-12. Customs invoices can arrive anywhere from a week to several months after the package’s delivery. Many vendors will deliberately under report the item’s value or mark it as a “gift” to help alleviate this issue but don’t expect them to do so as this practice is, strictly speaking, illegal. If the item is marked at a value of $200 or less, no customs duties should be expected. Another important issue relates to the importation of ink. In that circumstance, there are special customs declarations that can cause quite a headache and need to be accounted for ahead of time. Often times additional paperwork will be required. To put the potential of being assessed these fees into perspective, 47% of my collection has been acquired abroad and of those purchases, only once was I ever charged a customs fee. Furthermore, I have never had a package fail to ultimately arrive at its destination. In addition to the possibility of customs fees, there is likely to be a higher cost to shipping in general, even for registered mail. This will still be the most economical way of shipping but other nations have very different postal systems than ours and fees for vendors can be higher than you may be used to paying from domestic retailers. Other hurdles to consider would be the seller’s command of the English language. Sometimes this can present a problem that not even Google Translate can overcome. Luckily, this is rarely ever an issue large enough to stop a transaction but it is something that may add a significant layer of complexity and uncertainty to the arrangement. Finally, there is always an uneasiness when it comes to spending money overseas, particularly as it relates to the security of those transactions. Most vendors accept PayPal which provides a nice layer or protection for the buyer. If you use your credit card, many lenders also have built-in customer fraud protections. It is a wise practice though to call your credit card company ahead of time to alert them about the purchase so your transaction processes smoothly rather than getting flagged or denied. Also, some vendors will ask for payment in their local currency rather than USD. If that is the case, be mindful of the exchange rate at the time of the transaction. The United States dollar is the strongest that it has been against the euro in many years which allows for much more purchasing power than was previously the case. 1 € = $1.09 at the time of this post. The MSRP for Pelikan’s pens in foreign markets is currently on the magnitude of several hundred dollars less than what is being asked domestically. The European Union (composed of 28 member states) has a value-added tax (VAT) on many of their goods that is applicable to purchases made by those located in Europe. Those of us in the United States are exempt and can subtract the VAT to realize approximately 20% off of the asking price. Websites will usually declare whether the VAT is included in the price or not. Many foreign vendors take PayPal for payment which brings with it a reassuring degree of security and support for those transactions. To illustrate the potential savings, let us look at the cost of a brand new M800 Burnt Orange (2015) fountain pen by way of example. In the U.S.A., vendors are asking $676 for this pen. Overseas vendors are charging around $439 for the very same model. That is a difference of $237 for a special edition Souverän fountain pen. The M600 Pink (2015) is another good example as it can be had for up to $150 less when purchased from foreign suppliers. You would be reasonable to question the source of said products but let me assure you that I’m not talking about unscrupulous deals from shady vendors. All of these savings can be had from long-established, well-respected, authorized Pelikan retailers. What also is now a boon to U.S. customers shopping overseas is the fact that Chartpak is honoring the warranty on any new Pelikan pen purchase so long as it was acquired from an authorized retailer regardless of the county of origin. There is no longer the stipulation there once was where the warranty would only be honored on domestic purchases. You can find out more about Chartpak and their policies here. This site does not have any vendor affiliations and therefore it has no interest in promoting one merchant over another. I have had dealings with many foreign suppliers over the years and most of those experiences have been exceedingly positive. I include the short list you find below for your convenience should you choose to shop overseas. Many of these websites will clearly state if VAT is included and some will even calculate a price for you depending on your location when you register with their site. At the end of the day, I only wish to see everyone who wants a Pelikan pen to be able to get one, even if that means purchasing from abroad. Please note that this is not an all-inclusive list and exclusion is certainly not meant to be a negative reflection upon any vendor. This is simply meant to be a jumping off point. UPDATE: Chartpak has once again reversed policy to no longer honor warranty coverage on pens purchased from outside of the United States, regardless if they are from an authorized retailer or not. If you purchase from an authorized retailer overseas, you will need to seek warranty claims and/or nib exchanges through that vendor or Pelikan International directly. I can only surmise that this is a reactionary move secondary to so many customers now purchasing overseas since US market prices are no longer competitive. I recently had a good experience buying a M200 Cognac from a Japanese seller through Amazon. (Nagasawa) It arrived in about a week. Congratulations on the Cognac! Enjoy it. It has been getting a lot of use ever since it arrived right before Thanksgiving. I know your article really looks at the US customer but. other customers are being lost to these US retailers. Being Australian, buying abroad is second nature really. I live in a vast mostly remote country were we are generally treated very poorly by all but a very few manufactures. So, most Australian look overseas. The warranty issues become a moot point in this regard. I have bought all my Pelikan Pens from one of your above European sites. Not only do I get prices significantly lower than MRP, I effectively get a 19% discount (No VAT). We in Australia do not pay any import Tax on values of under $1000. Even if the US could compete on price, the P&P is so ridiculously expensive from most US retailers that it negates any favorable price I may find. Whereas the P&P from Germany is generally 10 Euros (1 pen or 10). Never had a warranty issue to date. Fingers crossed that continues. Thank you for your comments. The article was indeed focused on U.S. consumers as that is the experience from which I can draw. I have previously heard many stories of the situation in Australia and what you write echoes that. I’m glad that you have found an outlet that allows you to more affordably obtain Pelikan pens. Thank you for sharing the Australian perspective. I have never bought a Pelikan pen from either Canada or the USA. My reason is that when I tried to buy an M200 Café Crème all my local brick built shops were asking $290cad. This was the same for my M200 Cognac and a new nib unit. The shop explained to me that they don’t set the prices and they’re at the mercy of the distributor. Needless to say I found a seller in Hamburg that sold me both pens (at different times) for $129US, shipped and both pen arrived without incident or customs fees. Thats a great price savings. From what I understand, your retailer was being truthful about not setting the prices. I believe Chartpak is in charge of North American pricing and I really wonder whether or not these price increases that we’ve seen year over year are being driven by Pelikan or by Chartpak. I think its somewhat telling that prices overseas have not risen nearly as much as what we’ve seen in North America. I would love to know your German seller. That is a great price! Thanks. Here in the US most people tend to think that our economy is still on the ropes, never realizing that it can generally be said that we have rebounded from the great recession better and faster than most of the rest of the world. In times past the average consumer would not have such opportunities to play the currency imbalances so effectively. But with the arrival of globalization and the incredible improvements in communication technology, international retail transactions are no longer the great risk they once seemed to be. My preference is to buy from a brick and mortar retailer, knowing that many will stand behind the performance of the pen personally, offering performance checks and customization services. These transactions generally command premium prices when compared to online vendors and international sales. I don’t do it all one way; I have bought from domestic on-line sellers, US brick and mortar vendors and international dealers, both European and Japanese. But I often patronize US sellers even when it costs a little more. I just remind myself that I am dong better than many and I can afford to share the wealth with vendors whom have treated me very well in the past. Excellent sentiments and I concur. Spending more money on an item can certainly have some intangible benefits that can make up for the price difference. I wholeheartedly recommend supporting our domestic suppliers whenever feasible. Unfortunately, many people are not in a position to be able to afford the ever increasing domestic prices. Incidently I get the best Pelikan deals, vintage or new at US Pen Shows. I am sure they are even better at the European Pen Shows. Thank you for the kind words Francis. Pen shows can be a great source of deals. Thankfully there are a number of great shows annually but many are still too isolated to be able to easily attend one. Personally, I’m looking forward to Baltimore next week. Hoping to snag a deal or two myself. Fantastic post! I just wish it were available at the beginning of last year, when I caught the bird fever: it would have saved me a LOT of work :). Thanks! Thank you and you’re welcome! There is no known cure for bird fever but those of us afflicted have to do what we can to minimize the damage to the wallet. I recently received a M805, the souveran black-blue-silver. I bought from penworld.eu. I am in the US and the entire process was smooth and very pleasant. Great customer service and they were very helpful during the process. The savings over US prices was substantial (+/- $150) is well worth the logistics issues if I need any warranty support from them. Congrats on you new pen Bill! That’s a nice one. As you said, the savings are out there for those of us in the USA to realize. I plan to take advantage for as long as I can. Enjoy your new addition to the flock. I recently purchased an Italic Broad M800 for about $270 from Cult pens on black Friday. It amazes me to see so many vendors at the San Francisco Pen Show offering USED Pelikan M800’s for upwards of $500! Many of them are older and I don’t think they’re too savvy about international pricing. One purchasing vendor asked what i was asking for one of my M800’s and he almost bought it for $450! bet if I stocked up on $300 M800’s and $450 M1000’s and brought them to the pen show to sell at a $50 profit margin, I would make a killing off of unwitting boomers. I think I understand where you are coming from and would caution you about being too hard on US vendors. It is a complex issue. Older, used models can get $500+ depending on the finish and the nib. The red striped for instance is now discontinued and commands a goood price. M800s with the gold colored medallions are desirable. The older nibs are also more desirable than today’s offerings making them more expensive. For new pens, authorized dealers aren’t allowed to buy from overseas at the lower rates. 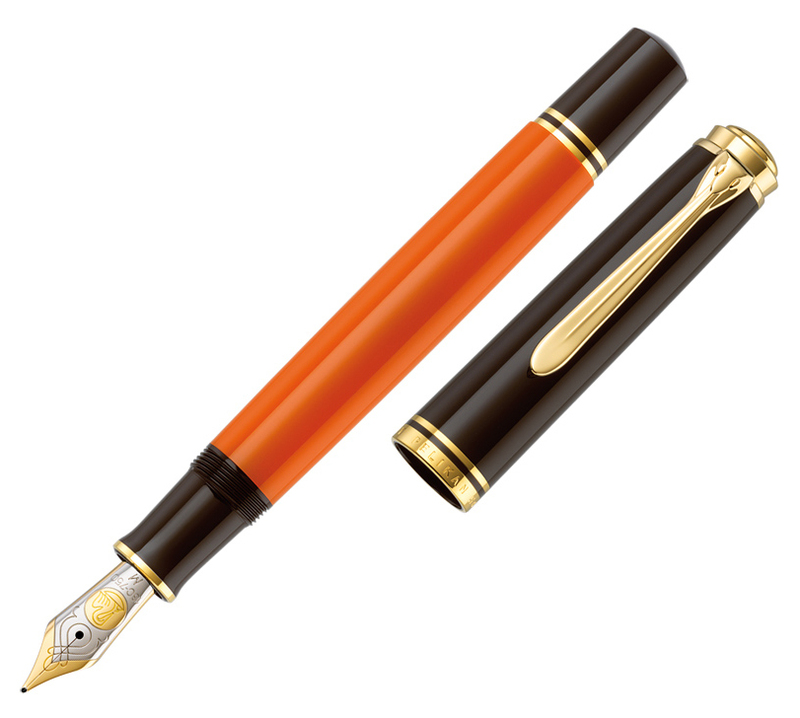 They are bound by pricing set by Chartpak and Pelikan. To violate that would violate their contractual agreements and risk losing their status as an authorized dealer. That pricing also seeps into the used market. Those models bought overseas will have zero US warranty support as well so you have to factor that in. Bottom line is that the vendors are prisoners of the pricing set forth by Chartpak and Pelikan which dictates much of the pricing you see in the US, both in the new and used markets. The savvy shopper can certainly find better deals abroad with the caveat of no domestic warranty support. I hope that helps a little.